On the streets of Sultanahmet you are accosted by touts and waiters who, with equal parts charm and broken English, try their hardest to take your money. Eventually you get bored. A Couchsurfing host called Cansu offers to show you the real Istanbul. No-one lives in Sultanahmet, she tells you. 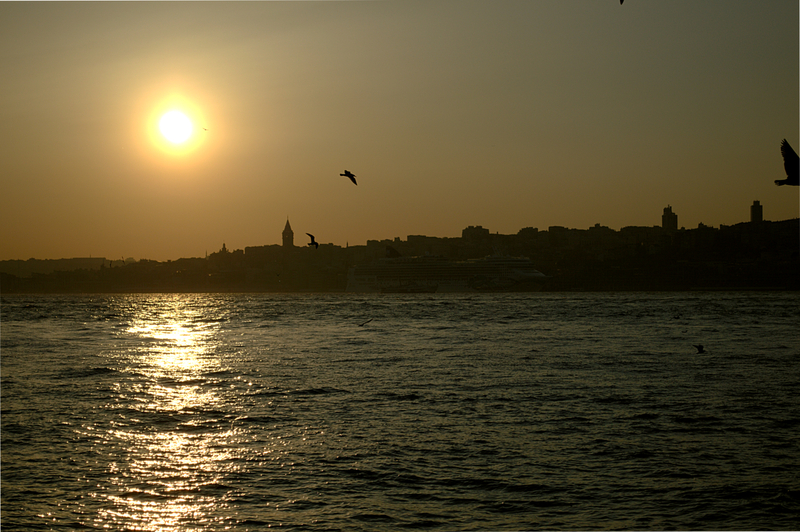 Meet me at the seaport at Kadıköy and we’ll go explore. 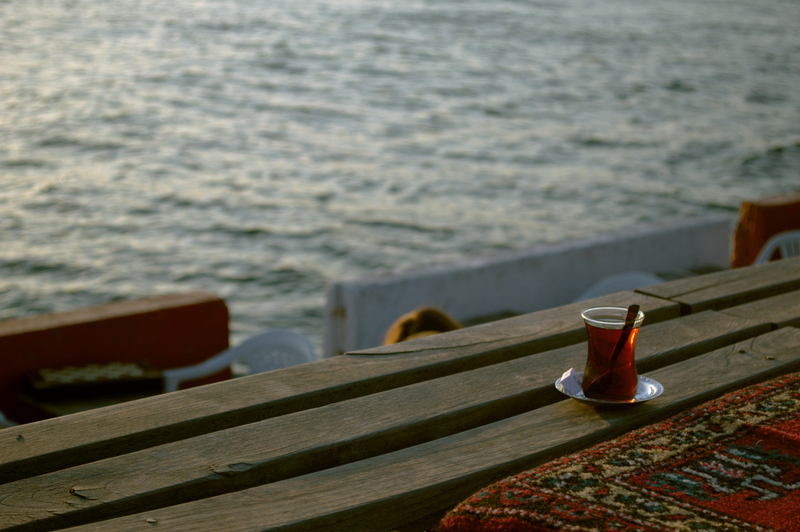 She takes you to an open cafe to drink tea beside the Bosphorus. As the sunlight wanes, the water darkens and it begins to get cold. You leave the waterfront in search of food. You agree without knowing what it is. Cansu takes you to a street stand where a banded cylinder of browned meat is revolving over a shelf of grey coals. The slithers of meat and onion are stuffed into a baguette. You buy a few beers from a corner shop and sit in the doorway of a block of student flats. The entire street is full of students eating and drinking together. You rush to take the last bus home. “Do you like midye dolması?” Cansu asks, stopping you in the middle of a plaza. You haven’t tried it, you tell her. Again you aren’t quite sure what midye dolması is, but you can see that it is some sort of stuffed mussel, and that it has probably been sitting in the sun all day. Keen to avoid food poisoning, you decline. Cansu misunderstands and you find yourself being pulled to the stand. She buys two. The midye dolması seller scoops the orange seafood out with half of the shell, squeezes lemon juice on it and hands it to you. Cansu shows you how to eat it. It’s cold and delicious, and most importantly, doesn’t smell fishy. You accept another when it is offered to you. 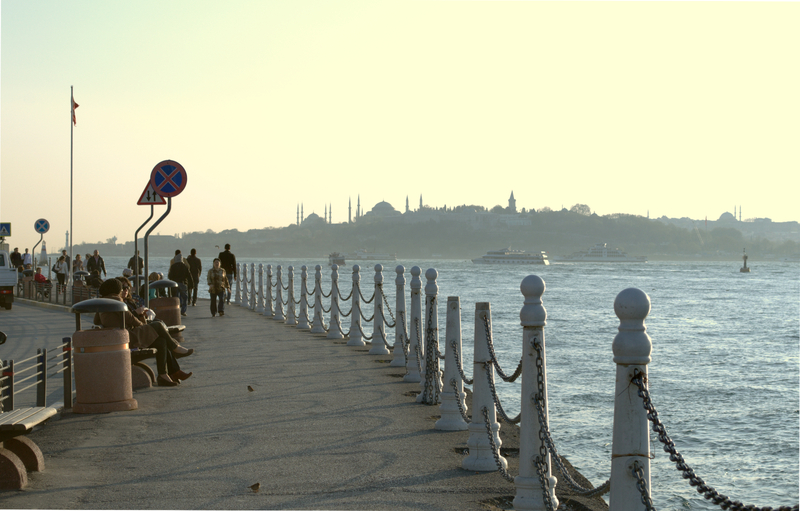 Istanbul is on my list of top destinations I want to visit in the future. After reading some of these posts, I now have a better picture of it. Thanks! Istanbul is beautiful and the people are so nice. Beyoglu and Balat are wonderful for a day of neighbourhood exploring, and I’ll forever miss the chestnuts and sweetcorn stalls on every street corner. Happy travels! 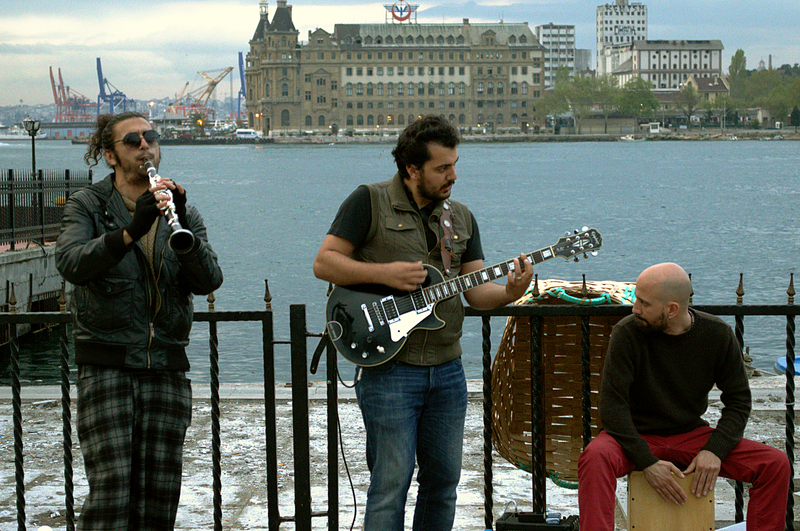 Midye Dolması is nice point about İstanbul!